« WWJD: Would Jesus Appear On Piers Tonight? WWJD: Would Jesus Go Gentle Into That Good Night? With the bloody images of civil war in Syria in our living rooms each day, it is easy to rage against innocent, but violent death. Even just the Facebook messages from casual friends who tell of the final struggles with cancer or with Alzheimer’s cause a kind of outrage against unwanted, undeserved pain and suffering of every kind. On the other hand, my mother is within a month of her 89th birthday. She is frail, but in relatively good health. She does not rage against the dying light, nor do we her children. My prayer for her has been—as my prayer for many loved ones who have already passed—that the Father would take them gently, quietly. John Donne, the metaphysical poet, wrote, “As virtuous men pass mildly away,/And whisper to their souls to go,/Whilst some of their sad friends do say,/”Now his breath goes,” and some say, “No,”/So let us melt and make no noise . . . .” (A Valediction Forbidding Mourning). Jesus knew violent death! Jesus knew what it was to be young and condemned. Jesus knew what it was to see his closest relatives killed—beheaded—unjustly. And, perhaps most importantly, Jesus knew that death in its every form results as the inevitable consequence of rebellion against His Father. Death had been avoidable, but we chose it over the tree of life! The stupidity of a choice that leads to every death must make heaven rage! Yet, Jesus created an alternate ending to the story of death and dying in our world. He offers an alternate place to stand other than between raging or whimpering. Lazarus, Jesus’ friend, died unexpectedly—at least his sisters felt he should not have died. Jesus intentionally lets him die (John 11:14). Only then does Jesus go to the sisters. He goes to the tomb that held the decaying body of one he loved, he goes with his eyes full of tears—but no whimper—nor rage! Jesus goes to the tomb with an alternative—life! “I am going there to wake him up,” Jesus says to his disciples. Upon arriving in Bethany, Martha, Lazarus’s sister, in her deep sorrow whimpers a complaint that if only Jesus had been there . . . .
Mary, her faithful sister, says the same, “If only you had been here . . . .” Where were you when you were most needed? We thought you loved Lazarus? You could have done something, and you didn’t! Our words coming pouring out of these bereaved sisters, our words of disappointment, words that lead to rage! At this point, Jesus offers the sisters spiritual hope, “Your brother will rise again!” And they believed this to be true! But it did not comfort them. Their loss was in this world, not the next! Their pain was physical, not spiritual. No one believed in never dying! No one had experienced never dying! Jesus had to call Lazarus out of the tomb in his stinking body in order to prove that He was the Author and Giver of Life. The context of the whole story of Lazarus is Jesus’ own journey to his momentary death on Golgotha. Yes, because of our sins even Life had to die in the flesh, but Life never died—and even his body didn’t stay dead. And that is the promise of Life to those who believe in Him. 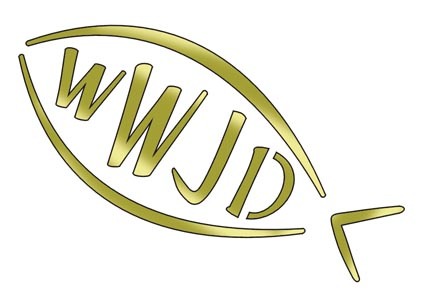 WWJD? Jesus’ rages against sin and the pain and suffering it causes. He weeps at the momentary victory of evil, but, I believe, there is no darkness, no mystery, no emptiness, no false hope in His presence. Jesus walked in the Light of Life that never ends. And He calls us to walk in His Light and share His Life—no need to rage, no cause to whimper! Wow Mark. Good thoughts. As I neared the end, I thought: either Mark worked extra long and hard on this one, or he had some special dose of inspiration ‘today’. We do so much want to ‘rage’ against things don’t we, even when it is not our place.